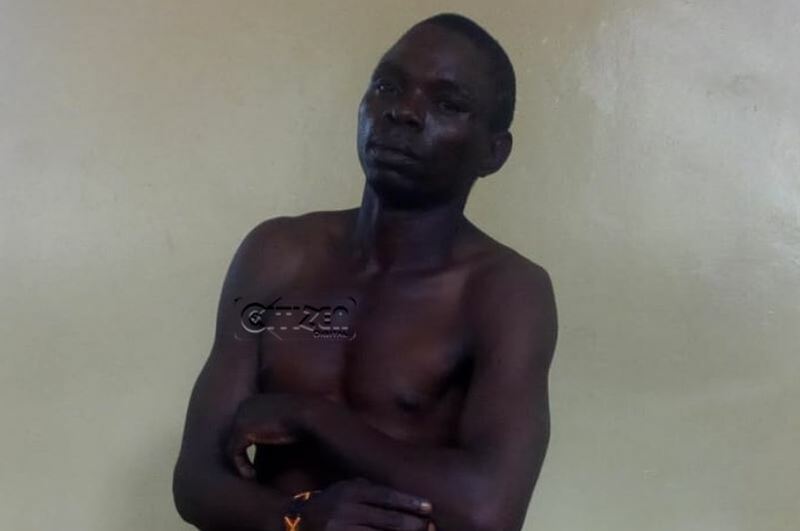 A suspect accused of stealing clothes caused a spectacle at the Embu Law Courts on Monday when he appeared naked for proceedings. Alex Jana Mugo, 32, appearing before Resident Magistrate Jean Ndegeri, told the court that his clothes were confiscated after he was stripped naked by officers at Embu Police Station where he was detained following his arrest on Sunday. Police reports indicate that the clothes the accused was wearing on the day of his arrest were part of those he allegedly stole, hence the need by police to use them as exhibits. Mugo, who was brought to court with only a leso covering his private parts, was offered alternative clothing but he declined, insisting that he would only accept the confiscated clothes. In protest, the suspect also attempted to strip naked in the courtroom by dropping the shawl in front of the lady magistrate. The suspect did not take a plea after the prosecution applied for the matter to be postponed since the accused was inappropriately dressed. Mugo is accused that on January 10, 2019 at Kaunda Estate, he stole three pairs of trousers, two vests and two shirts all valued at Sh4,000 and belonging to Vincent Musembi. Citizen Digital reports that he is also facing a second charge that on January 13, 2019 at Blue Valley within Embu County, in the course of stealing, dishonestly retained a khaki trouser and pinkish shirt knowing or having reason to believe they were stolen goods. The accused is also facing a third charge that on January 13, at Embu Police Station he was found in possession of 11 rolls of bhang with a street value of Sh.550. Mugo, however, claims that the marijuana was planted on him by police officers. The owner of the clothes alleges he had left the clothes on the line to dry but upon returning home in the evening, he found them missing. A few days later, he came across the accused wearing one of his stolen pair of trousers and a shirt prompting him to report the matter to the police. The magistrate directed that the accused be presented in court at a later date to take plea.